The peanut butter packaged and sold by such American brands as Skippy was invented by George Washington Carver. In U.S. society, George Washington Carver is the first person of record to make oil out of the peanut. This is the same peanut oil that can be found on many grocery store shelves today. While many people know about these innovations, they do not know that Carver created from the peanut, pecan, and sweet potato hundreds of inventions. 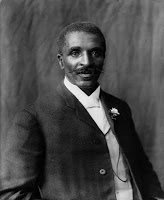 In 1864 (exact birth date unknown), George Washington Carver was born into the institution of slavery near Diamond Grove, Missouri. He was kidnapped from his mother by White slavers as a baby. As a slave, his early weak condition in body made him of no use in the field. Carver worked in a domestic capacity and gardening became a part of his work. 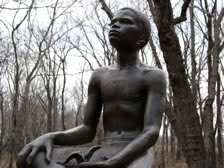 On the plantation he was known as the ‘Plant Doctor.” Despite the challenge of his birth, Carver applied and was admitted to Highland College in Highland, Kansas from his application submission that did not mention or request his race. When he arrived at Highland College its president, learning then of his skin color, withdrew the college’s acceptance. 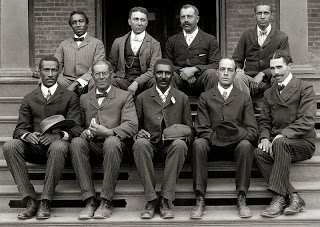 Upon the invite of Booker T. Washington, Dr. 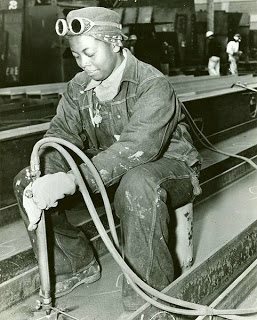 Carver relocated to Alabama’s Tuskegee Normal and Industrial Institute (Tuskegee Institute, now known as Tuskegee University). At Tuskegee, George Washington Carver spearheaded the university’s Agricultural Department, a dynamic agricultural research department that he served for more than 50 years. There was much farming innovation developed out of Tuskegee during the course of Carver’s leadership. This included translating scientific theory into great practical assistance to local farmers, including former enslaved African-Americans, who sought self-sufficiency through farming. Carver assisted many southern farmers, Black and White, in producing additional products from their staple crops in an effort to increase family farm income. Carver’s work was a course in sustainable development. His legacy is the original green. This included providing American farmers training in soil fertilization and crop rotation innovations. He introduced southern farmers to new soil enriching plants such as the peanut, pecan, and the sweet potatoe. This diversified the agricultural tradition of farmers in the U.S. southern states whose agricultural economy was based predominantly on cotton production. Carver’s work in agricultural recycling is significant in that he introduced southern farmers to practical innovative uses for farm waste. 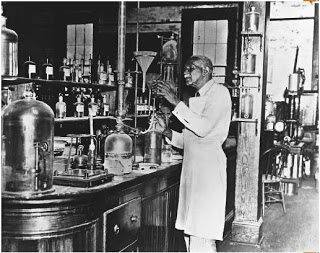 Tuskegee Institute research during this time included scientific works in chemistry, nutrition, plant pathology, and genetics.